Employer Branding ideas are essential for building a strong and attractive employer brand. Since many companies have started investing more in their employer branding strategies, I decided write about some real-life employer branding ideas and strategies. 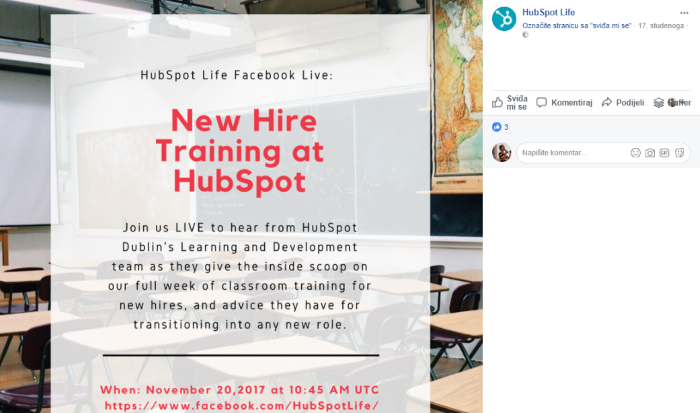 Companies like HubSpot and Facebook have mastered their employer branding and recruitment marketing efforts, and here is how! The concept of employer branding has become one of the most popular topics in the world of Talent Acquisition. This is because it is getting harder and harder to find, attract and retain qualified talent. Demand for talent is getting bigger, and supply is getting smaller every day. Naturally, the market is suffering from a big talent shortage, which has resulted in the “War for Talent”. Because all the changes in the HR industry, the way we recruit has changed. However, many companies are still sitting still thinking that there is nothing to be done to attract talent. There are many employer branding ideas with which you can attract talented people. So, take the wheel into your hands and don’t let competitors steal talent from you. You were probably already given advices that sound like this, “You must put more effort, time and money into employer branding to improve your recruitment and talent acquisition strategy!” But what does that mean? How to do that? Even though there are some guides on how to generate and implement employer branding ideas, many of them are abstract and not very understandable. This is especially hard to understand for people with little experience in the world of Human Resources and Marketing. To make employer branding as a recruiting strategy clearer, I decided to give you some real-life examples from the industry leaders. You can use these employer branding ideas, and add them to your own recruiting strategies. When it comes to employer branding on social media, it is good to have a separate career and corporate accounts. Because the message your deliver should be completely different. The purpose of the 2 sites should be different as well. 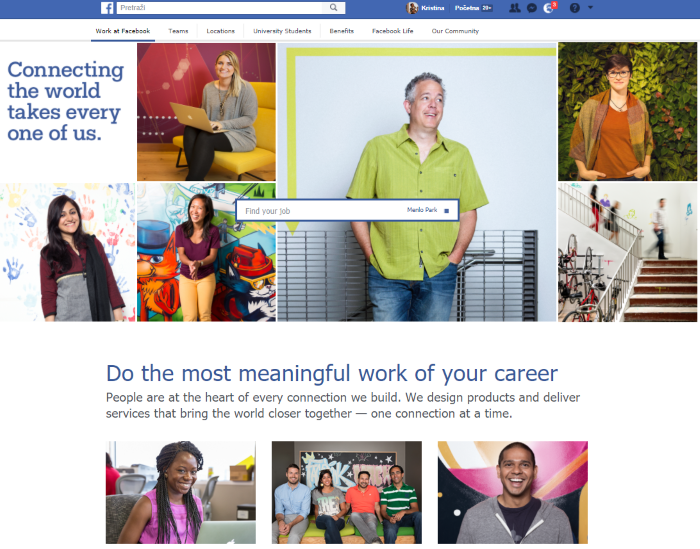 This is why HubSpot has both corporate and career page on Facebook. They also didn't call it just HubSpot Careers as many other companies would. 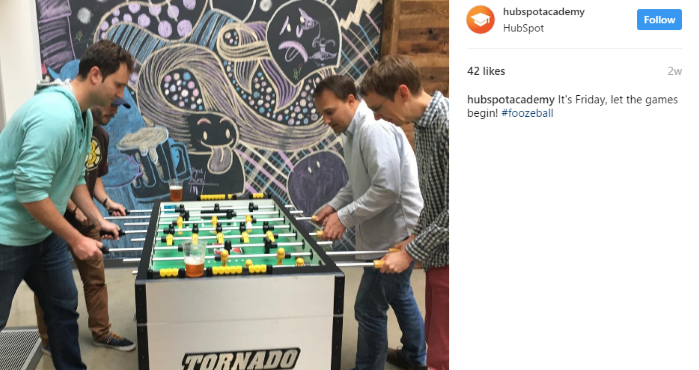 They call it HubSpot Life because their goal is to show the world how is it to be a HubSpot employee. 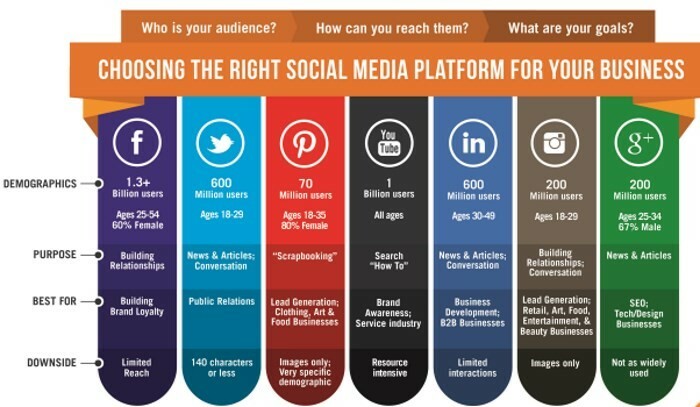 Here are some examples of how Facebook and HubSpot do it. 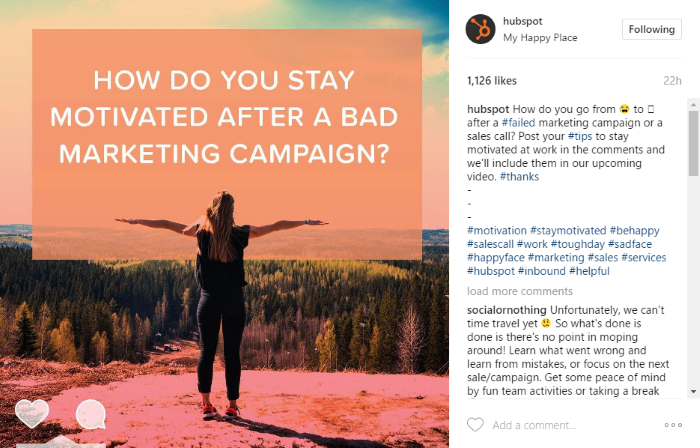 This is Hubspot’s post that grabbed people's attention just a few hours after it was posted. Why is this post so special? Why is it considered a part of their Employer Branding and Recruitment Marketing strategy? Having a bad or unsuccessful day at work can be depressing and discouraging. HubSpot doesn’t want their employees to feel that way. Their goal is to support them and give their best to bring their motivation back. Looking at their hashtags, you can see that they really made sure that this post gets to the right people- sales people and marketers. If you have a social recruiting strategy, pick a hashtag that will be recognizable for your company's people and culture. Finally, they encourage other candidates to engage and give them tips for staying motivated. In just one post, HubSpot used some of the best recruitment marketing strategies. Yes, I know that not all of you have games and beer at work! However, many modern workplaces encourage fun times and games at work. Some of them even dedicate one whole day per week just for fun. Even though you may not offer the same thing, I believe, and hope that, there is something your employees love doing besides sitting at the table and working. If so, capture the moment and share it on social media. Don’t forget to encourage your employees to do the same. They are your best brand ambassadors. Remember that people trust regular employees much more than brands and C-level executives. These types of employer branding and recruitment marketing ideas have become extremely popular. However, in order to be effective, it is important to follow some of the social media recruiting best practices. Posting on different channels at different times can capture different people. Make sure to understand your candidate persona in order to attract people that best fit your company. It is important to be 100% transparent and honest with candidates. Many companies send emails to candidates after interviews asking them to rate their interview experiences on Glassdoor. This way, you can build a profile that candidates and job seekers will find very useful. It will also help you learn more about your recruiting process from candidates' perspectives. Strong senior leaders set the tone for high-performing companies. However, when it comes to deciding whether an organization is a great place to work for, there’s only one audience that really matters: the employees. 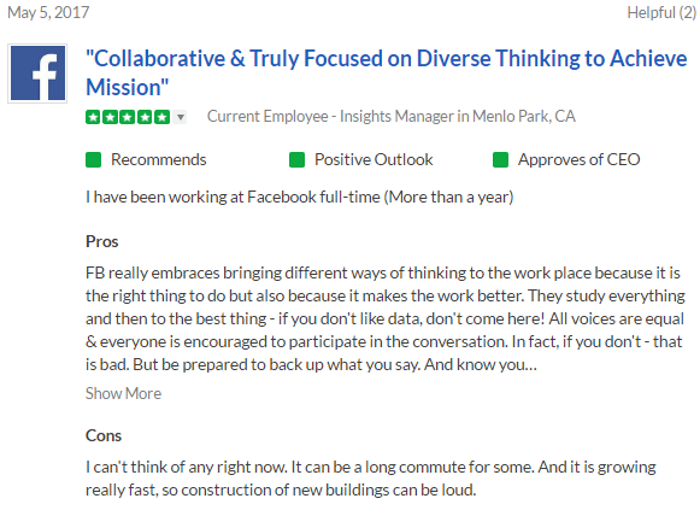 United States based company, Workplace Dynamics, anonymously surveys companies’ employees (not including leaders) and rewards the top-rated ones. Have your employees participate in surveys like this. If you are scared to do this before you have any insights about your company's culture and employees' satisfaction, do an internal audit first. Make a simple set of questions that will help you better understand your current situation in the company. Many companies in the United States like participating because having a title of a Top Workplace really makes their recruiting efforts easier and more successful. Employers that get the reward get a little badge that they use on social media, their websites, job listing sites, your career site, email signatures and wherever they have an online presence. There are usually categories for small, medium and large size companies, so there’s place for everyone. The main goal is to show the audience and your potential hires how you treat your employees. Tell them things like: what actions do you take to make them feel better and be more productive, how do you help them grow both personally and professionally, tell them about the core values of your business and how do your employees contribute to the success of the business Give them a proof of their love for their workplace and teammates. Your employer brand dramatically influences your ability to attract, influence, hire and retain top talent. Measuring, monitoring and improving an organization's reputation is becoming an important component of broader talent acquisition strategies for forward-thinking companies. When looking for good employer branding and recruitment marketing ideas, always start with your own employees. Employee referrals are structured programs that companies and organisations use to find talented people by asking their existing employees to recommend candidates from their existing networks. Research has proved many times that employee referral programs help improve many recruiting KPIs. Referrals make the best employees in many ways: they take shortest to hire, they are the least expensive to hire and they stay longer with companies compared to candidates that come from other sources such as job boards and career sites. 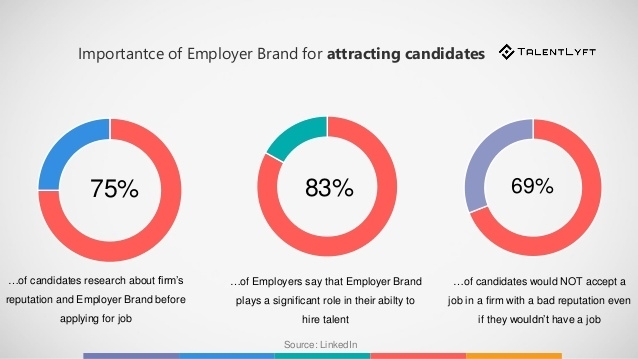 Since job seekers trust much more employees' words than CEOs' or corporate brand's, this is a great way for building a stronger employer brand and attracting talent even for future job openings. Extending your talent pool with these people can’t hurt you. It can only make hiring and recruiting faster and more productive. 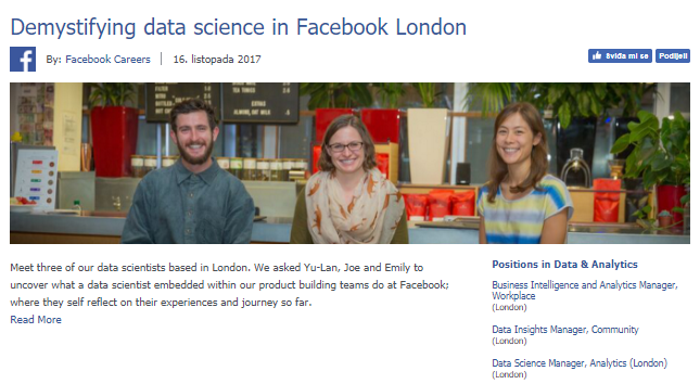 These people talk about how their work contributes to the overall Facebook’s success. They talk about their personal and career achievements and development. This is considered as an inbound recruiting strategy because, instead of hunting and sourcing high-quality people, they are encouraging them to come and apply themselves. 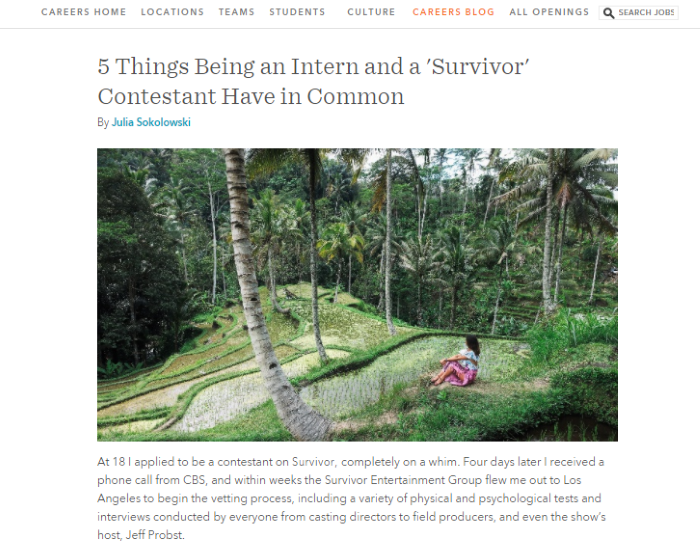 Below, you can see a blog post about great intern programs at HubSpot. They are big on attracting talent even before they get out of school. Student get great opportunities to learn, after which HubSpot keeps them as their full time employees. Writing content like this is the best way for attracting talent through inbound recruiting. As video is the best way for delivering messages in marketing, it is now also widely used in recruitment marketing. Social media and internet users are just more likely to watch videos than read. 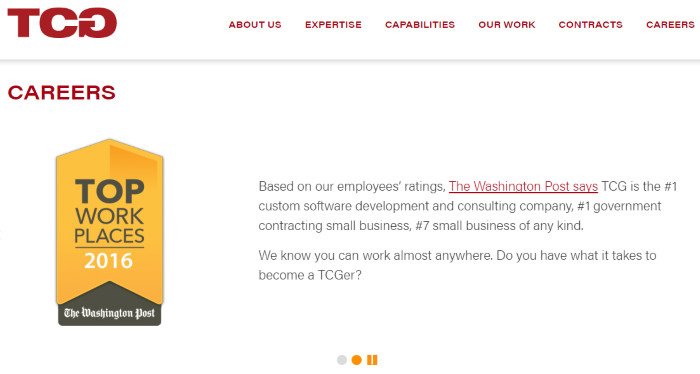 Use video to record employee testimonials, and put them on your career site. Make a video of your workplace, and share it on social media. Include videos on your job ads and on job boards. Since Google likes videos, these will reach much more audience than images and plain text. Put a video next to your job application form and watch how application form abandon rate drops. I know that this is a post about Facebook and HubSpot, but I had to include this awesome Dropbox employer branding video. Before writing a job description, do a research on which keywords people are using when looking for job opportunities. There are great tools to do so. Use these keywords and include them in your job descriptions as Google will award you for that by ranking you higher on job search results. These events can be of various types. They can be online, or in person, they can be general or highly targeted. They should all, however, have the same goal- to find people interested in your company, engage them, and pull them out of your pools when a new position opens. If you, for example, struggle to hire people with certain IT skills, think about creating a workshop where your IT professionals will educate students or anyone else interested in this area. Share your even on social media platforms, your career sites, do some paid advertising to increase your ad impressions and do a highly-targeted campaign. I have also spoken to a few companies who struggle to hire nurses and medical assistants. They do a simple, short course or a training, invite candidates from that field, and build their talent pool for their future needs. Here, it is important to understand that just adding these people to your database is not enough. The key is to keep them engaged and provide useful and relevant content. Today’s recruiting and hiring strategies are highly measurable. There’s no more guessing, blind predictions and expectations. Time, cost, quality of hire, acceptance rate, best sources of hire can all be measured if using the right tools and technology. 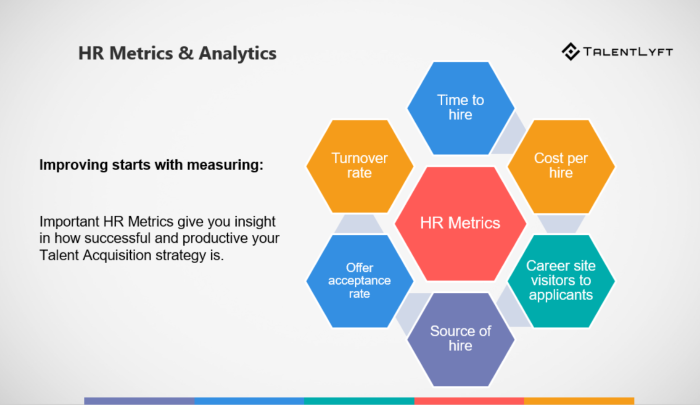 If you are wandering what other HR professionals are measuring, download this list of most important hiring metrics. Knowing which source of applicants bring the best hires can significantly improve your hiring if you know how to use the data. Let’s say, for example, that your best job candidates come from employee referrals. Knowing this, you can adjust your strategy, cut job board expenses and invest more in employee referral programs. 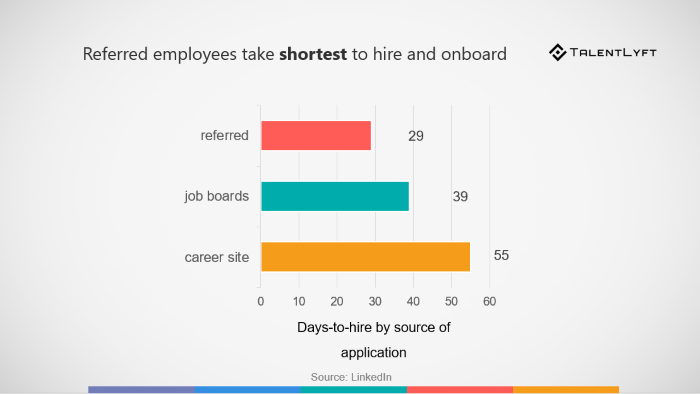 We know that time to hire has a big influence on candidate experience and acceptance rate. Would you then make changes if you know that it takes more than 45 days to hire someone? Using the right tools, you can find out which stages of your hiring process have bottlenecks. Use this data to improve and fasten the process. How can a recruitment marketing platform help with implementing employer branding ideas? All these steps seem complicated and very time-consuming. They are, if you are not using the right tools. Recruitment marketing tools such as TalentLyft can help you implement your recruitment marketing and employer branding strategies. With tools like this, you can easily create a well-optimized career site, optimize your job descriptions, streamline your referral programs, and significantly improve relationships with candidates and improve candidate experience and candidate engagement. If you are not sure if you need a tool like this, here's our guide for buying a recruiting tool.